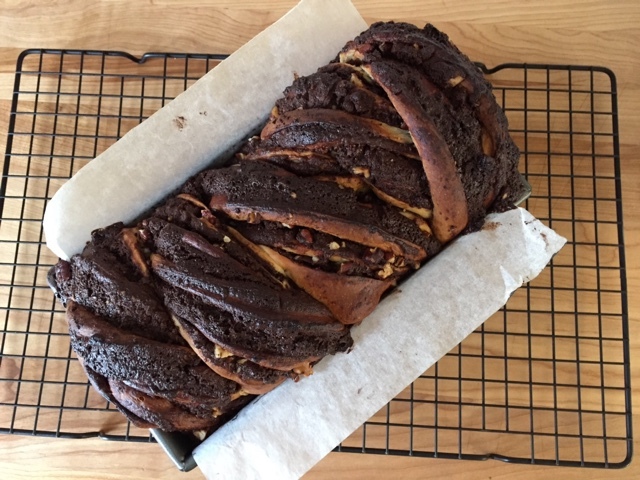 I thought I'd take a few moments on this cloudy, off again-on again rainy afternoon and share my latest bread baking adventure, compliments of Weekend Bakery. I discovered the website some months ago while reviewing croissant methods (and theirs is right on par with mine - yes!!). Written by a couple in the Netherlands who bake at home during the weekends, it is a plethora of bread baking tips, techniques, recipes, videos and overall great information for all of you avid bread bakers out there. You can choose English or Dutch and you should definitely check it out! Since I was preparing to teach my own bread baking class to Lisa and Jerry (AVID bread bakers for sure), I was perusing various posts and recipes and decided I needed a little test project to get me in the mood. Ficelle here we come. The word is literally translated as string, and the bread is basically a thinner version of a baguette. This one happens to be made with a combo of bread flour and semolina, an ingredient I enjoy immensely in my pizza dough. Must be good, right? The WB version is a sourdough ficelle using the so called hybrid method with a sourdough poolish which is then incorporated into the final dough which contains added instant yeast. They are thoughtful in giving one the option to use all instant yeast, which is especially helpful for those of us who have yet to jump on the natural starter band wagon - maybe one of these days folks. A poolish is a starter dough made with equal weights flour and water plus a small amount of yeast (or sourdough starter if you're going that route). For this recipe mix 200 g bread flour with 200 g water plus 1/4 teaspoon instant yeast OR 30 g active sourdough culture. Below is the starter just after it's mixed. Generally the poolish is allowed to sit, covered, for some hours, either at room temperature or in the fridge depending on the time frame of your recipe. This one is a six hour, room temp wait, so it's easy to plan to accomplish it in one day. Here it is after a six hour preferment. Nice and light and bubbly. And you know what? It smells good too! For the final dough, in the bowl of your stand mixture fitted with the dough hook, combine the above poolish with 200 g bread flour, 100 g semolina, 110 g water, 8 g sea salt and 5 g instant yeast. Knead on low speed (2 on a Kitchenaid) for 7 minutes then cover it and let it rest for 30 minutes. Turn the dough out onto a lightly floured work surface, do a full stretch and fold (top down, bottom up, right side over, left side over and ball it up) and let the dough rest another 30 minutes. Heat your oven to 465ºF with a baking stone in place, or, if you're like me, place a half sheet pan in the oven during the pre-heat (that will serve as the hot surface on which I place my sheet pan containing my risen ficelle). Divide the dough in four pieces, shape each one into a rough rectangle then cover and let 'em rest for about 10 minutes. Now shape each piece into a log as seen below. Please accept my apologies for the somewhat fuzzy images, but at least you can visualize the steps (I hope!). I attempted a short video of the shaping, but, not being quite up to snuff, that will have to wait for another time. It's all about learning, even the techno side! Elongate the rectangle, fold over the top third, pressing along the edge of the dough with the heel of the palm. Turn the dough 180º. Fold over the top third toward the middle, again pressing along the edge of dough with the heel of the palm. Now fold the dough over itself to form a rough log, pinching the seam with the heel of the palm. Place your overlapping hands in the middle of the log and start rolling with gentle pressure, gradually elongating the dough as you move your hands outward toward each end. You should have a nice thin log with pointy ends. Once all four logs are shaped, arrange them on a sheet pan lined with parchment paper, cover with plastic wrap and let rest for 20 minutes. I scored these right down the center along the length of the bread then popped them into the heated oven onto my already heated sheet pan. I gave them a burst of steam by pouring hot water into the steam tray in my Kitchenaid oven. These baked about 20 minutes and developed a nice golden brown crust. Yeah. Once cooled it was time for a taste. A lovely dense crumb and creamy interior with a nice crunch to the crust. Time well spent I'd say. This one is literally all in a day's work. You can do it too, especially with the help of Weekend Bakery.com! Yes, you guessed it - millefeuille! Caramelized puff pastry layered with vanilla crème pâtissiére, Americans refer to this particular delight as Napoleon. I did a brief internet search and couldn't find a quick answer as to WHY we refer to this as Napoleon, cuz the French don't. Oh well, it's good no matter what you call it! Having just returned from a wonderful trip to France and the Netherlands, I wanted to share with you some of the goodies in which I indulged during our stay. I tried to make a point of tasting some of the classic French pastries to be had, whether in Paris, Lille or pretty much any large city or small village in the country. If there's a pâtisserie or salon de thè nearby, you should be good to go. Although Steve and I were in Paris for almost two weeks, my most memorable classics were enjoyed in Lille, right near the Belgian border. The millefeuille you see above was at the Meert salon de thè, just down the street from niece Christina and her family's apartment in the heart of vieux-Lille. I joined Christina and her children, Kiera and Liam, for a memorable mid-morning chocolat chaud et millefeuille. Christina had the millefeuille as well, along with the signature "M" inscribed cappucino, while Kiera went for her favorite religuese caramel and Liam devoured L'impérial, a layered chocolate hazelnut number topped with a gilded hazelnut (hey - it's France!). Later that same day Steve and I joined Christina and her husband Glen for dinner at a lovely restaurant on the ramparts of vieux-Lille. Delicious food, good company and lovely surroundings sums it up. For dessert Glen had his "usual" dining out treat, the café gourmand. Basically coffee with a medley of small desserts, the selection here was quite the assortment! Christina and I went with the strawberry-pistachio tart served with a vin jaune sorbet - delicious! The crust was so crisp, the pistachio filling just right and the cool sorbet the perfect complement to the fresh berries. You might be wondering what the Steve-meister had? He went with dessert wine which is often his answer to restaurant desserts. From a guy who loves pastries? Go figure! He claims he won't eat any dessert that his wife hasn't made. How sweet is that! How about we end on a more savory note, OK?. In northern France one of the specialties is the planche, a board of charcuterie, cheeses, olives, etc served with bread. For a couple of our lunches at G&C's apartment, they provided us with that particular repast. Nothing like fresh baguette, a medley of cheeses, some saucisson, fresh veggies and hummus, nuts - and let's not forget the wine. Yum! Thanks for everything Glen and Christina! And Kiera and Liam too!! These babies were really fun to make, particularly if you enjoy the whole laminated dough experience (as I certainly do!). On my regular walks I pass a small woods near the Lincoln School here in Grand Rapids, Michigan and recently noticed they had put out the sap buckets for maple syrup. I have no idea how much sap/syrup they get from this late winter project, but it's cool nonetheless. It reminds me of our days of living in Vermont when it was tree-tapping-sap-running time and the sugar shacks were in full swing. Oh the memories. Since we just happened to have a jug of Michigan maple syrup in the fridge, the maple pecan version of a laminated brioche roll was born. This post isn't so much about the process of making laminated brioche dough (which I wrote about here), but about the variety of goodies one can make with the same base dough. Think pain au raisin, which is one of the classics for sale in many French pâtisseries. Typically made with croissant or brioche dough, the dough is spread with pastry cream and sprinkled with rum soaked raisins, rolled up into a log, sliced, proofed and baked. This maple pecan version is simply another take on a delicious buttery dough, spread with an even greater filling. Yeah! I made my brioche base dough, completed the beurrage and four 3-folds then wrapped it up to chill in the fridge overnight. I had chosen pecans for my project, but you can certainly substitute your favorite nut instead. Toast up about 250 g pecan halves and let cool. I divided those into 150 g to coarsely chop and 100 g to grind into a meal for the filling. The filling was inspired by a recipe in the French book Viennoiseries & brioches by Parisian pâtissier/chocolatier Laurent Duchêne who has been awarded the coveted MOF title (Meilleur Ouvrier de France) and has his own pâtisserie in the 13th arr. After the dough's overnight rest in the fridge I rolled it out into an approximately 25 cm/10" by 50 cm/20" rectangle and spread the filling in a thin layer all over. The filling is made very simply by combining 85 g egg whites, 100 g ground toasted pecans, 85 g sugar and 30 g maple syrup. Then I sprinkled 150 g of toasted and coarsely chopped pecans over the filling and rolled it all up into a neat log. When I do this sort of log/slice/proof/bake approach, I typically pop the log into the freezer for 15 or 20 minutes to firm things up. It's a bit easier to slice without having the filling ooze out as much as it might otherwise. I sliced my spirals about an inch thick and, after trimming the irregular ends, had a yield of 16 slices. Then it's on to a proof of about an hour under cover of lightly buttered film wrap, heating the oven to 350ºF and baking for about 25 minutes until nicely browned. I must admit I feared they might be a tad dry, so I brushed on a mix made with 4 tablespoons melted butter and 4 tablespoon maple syrup right when they came out of the oven. 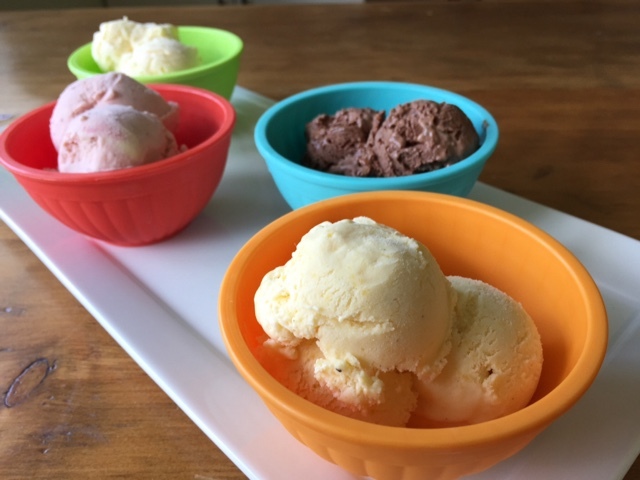 Once cooled, Steve and I did a taste test. Our diagnosis: something is missing! And so, back to the drawing board. This time I made a glaze with confectioner's sugar mixed with maple syrup and a bit of milk to a thin enough consistency that I could brush on a nice coating. Then back into the oven for a few minutes to set the glaze and voilà. It was the perfect solution! These spirals did not disappoint. Not too sweet, just the right hint of maple, a pleasant nutty crunch and a lovely texture to the dough all made for a delicious treat. Steve gave them a thumbs up, particularly with that last glaze addition. Now it's time for you to choose your favorite brioche dough and make your own version of spirals. How about a spread of lemon curd and a sprinkle of candied pistachios? Or a raspberry version of pastry cream along with mixed berries and some chopped white chocolate? Or crème d'amande with chopped candied orange peels and toasted sliced almonds? So many choices! Whatever you decide, have fun. That's what counts. This cake is inspired by a recipe in Ottolenghi and Goh's book "Sweet" - an apricot almond cake that I decided to change up to a pear version. Although I usually think of pears as a fall/winter fruit, their flavor and usefulness in desserts still speaks to me now, with hints of spring in the air. This pear almond cake is dense, moist and oh so delicious! Truth be told, I baked this one in late January and am just getting around to writing about it now. Oh, how time flies. Bartlett, Bosc or D'Anjou are my usual pear choices, although I must say I usually end up veering toward the Bosc end of the pear spectrum. I simply enjoy their flavor and texture. I generally prefer to poach my own pears, especially since those that one buys in the grocery store are generally rock hard and need days to ripen appropriately. Poaching helps to coax out that ripened texture and allows them to be used sooner than you would if waiting for them to ripen naturally. I create a poaching liquid using 2 parts water to 1 or 1.5 parts sugar, giving me a light-ish syrup. I like to add in some lemon zest, a grate or two of nutmeg and perhaps a pinch of ginger and a few pieces of star anise. Nice and lightly spiced. I peel, core and halve my pears. The key with poaching is low and slow. The most helpful thing for me is the cartouche - essentially a round of parchment paper with a small hole created in the center to allow steam to escape, placed cozily over the pears to keep them submerged. It prevents sides or ends of pears from sticking out of the poaching liquid and developing an unsightly brown tinge. We simply can't have that, now can we? I let them go until I see a change from a dense whitish color to a more translucent, buttery color. I then stick a fork in to see if the tines go in easily. We're done! The cake is made with your basic ingredients - butter, sugar, egg, flour, a bit of salt, lemon zest, vanilla and almond extracts and some sour cream. A sprinkle of almond flour and the pears are nestled on top of the batter and then covered with an intriguing topping concoction made with butter, sugar, spices, salt and egg. Hmmm - this should be interesting. Here it is just out of the oven. Looks good! 1. Butter a 9" springform pan and line the bottom with parchment. Heat the oven to 375ºF. 2. Drain and blot dry your poached pears, then slice each half into quarters. You'll need a couple of pears total (more or less, depending on how you like to arrange your slices). 2. Make the topping: in a medium microwave safe bowl, melt 56 g unsalted butter; stir in 100 g sugar, 1/2 teaspoon ground coriander, a pinch of ground ginger, a large pinch of salt; cool for a few minutes then stir in two large lightly beaten eggs and set aside. 3. For the cake, put 84 g unsalted, room temperature butter with 200 g granulated sugar in your mixer bowl with the paddle attachment and beat on medium-high for a couple of minutes; add 2 large eggs, one at a time, blending each one in and scraping down the sides of the bowl a couple of times; blend in the zest of one lemon, a teaspoon of vanilla extract and 1/4 teaspoon almond extract. 4. In a separate bowl sift 220 g all purpose flour with 10 g baking powder and 1/2 teaspoon salt; have 2/3 cup sour cream standing by as well. 5. With the mixer on low add the flour mixture to the butter/sugar/egg mixture alternating with the sour cream, beginning and ending with the flour. 6. Scrape the batter into the prepared pan, smooth the top with an offset spatula. Sprinkle 35 g almond flour over the batter, then arrange your pear slices in a design of your liking. 7. Now spoon/pour the topping mixture over the whole shebang! 8. Bake this baby for about an hour until a tester into the middle comes out clean. Always watch what's going on in there folks!. Cool in the pan for about 20 minutes before unmolding. I chose to top it with some lightly sweetened whipped cream (although my cream seemed to have lost some of it's whip!). This was absolutely delicious! And Steve liked it too. Yay!!! For several years now my standard approach to puff pastry making has been the reverse approach, or, as the French call it, pâte feuilletée inversée. It comes out so wonderfully flaky and light, buttery and delicious. Check out my post about the process here. Chausson aux pommes (apple turnovers) are perhaps my favorite goodie to make with puff - the marriage of tart apples sautéed in vanilla sugar, butter and a generous squirt or two of my caramel sauce and then encased in the buttery goodness of puff is a marriage made in heaven. As I continue to incorporate more whole wheat into my baking, I decided to give a spelt version of quick puff pastry a try. Spelt is considered one of the "ancient grains" descended from wheat. It has a mild, nutty flavor and, although it contains gluten, it has less than whole wheat or white flour. Substituting spelt flour for white flour may make baked goods more tolerable and enjoyable for people with gluten sensitivity. As usual, I compared various recipes for classic puff, reverse puff and quick or "rough-puff" versions. Generally the flour to butter ratio is close to 1:1 in puff recipes. The other ingredients are water and salt and, while those quantities vary a bit, the water can range from 0.3 to 0.5 of the flour by weight (it's generally lower in quick puff than in classic puff). The process with quick or rough puff pastry is simply to cube up the butter, "sand" it into the flour and salt, add the water and then turn it out onto a work surface to form it into a rough, crumbly rectangle. It eliminates the steps required in classic puff pastry of creating the butter block and enveloping it in the dètrempe before proceeding with the folds. You put the crumbly rectangle through three 3-folds, during which it starts becoming a cohesive dough. Let it rest wrapped in the fridge for 30 minutes or so and repeat three more 3-folds. Give it an hour rest in the fridge and you're ready to go. My plan was to make a half recipe and analyze the result. I went with a version using a higher ratio of butter to flour, along with a little less water than a classic puff. My half recipe called for 320 g cold unsalted butter, 140 g all purpose flour, 145 g spelt flour, 1 teaspoon salt and 120 ml cold water. So, as a conscientious pastry chef will do, I weighed everything out, cubed up my butter and prepared to make my dough. Into the mixer bowl go the flours, salt and cubed butter which are mixed until the butter begins to break up into smaller pieces. Add the water and mix briefly to incorporate with a resulting crumbly concoction. OH NO!! Too much water. In my attempts at weighing precision, I neglected to reduce the water in the full recipe by half and in went the FULL amount. As soon as I added it, I realized what I had done. What was supposed to be a crumbly mixture was wet indeed. What to do? Regroup, of course. 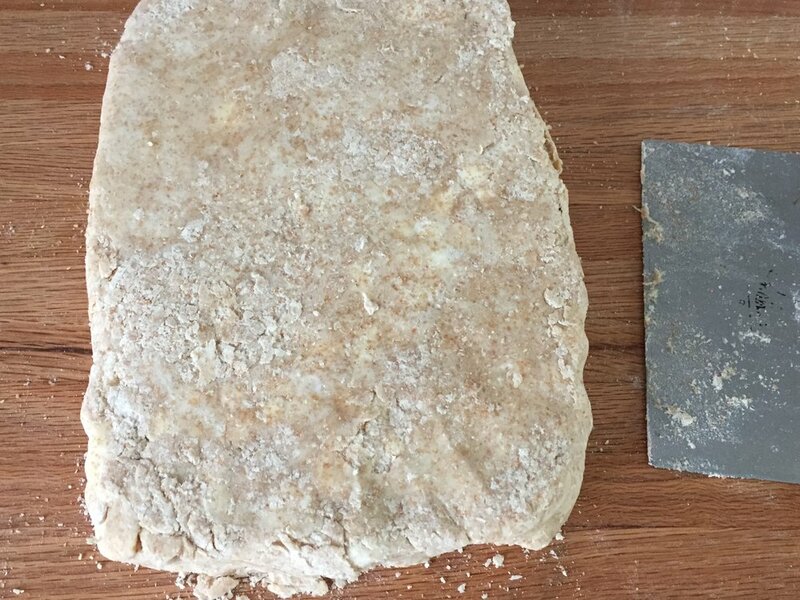 I weighed out an additional 140 g all purpose and 145 g spelt flour, blended it in to my wet mixture and turned out the now crumbly dough onto my work surface, forming a rough rectangle. Essentially I moved up from my intended half recipe to a full one. I then cubed up another 320 g butter, started the first 3-fold, putting a portion of the butter on a third of my rectangle which I then enclosed by finishing the fold. Are you confused yet? After the first 3-fold was completed I distributed the remaining butter on top of it. I pressed the butter into the dough then rolled it out and did my second 3-fold. I think this is going to work! Crumbly but OK.
You don't need to see every step, but, the good news is this dough came together very nicely with the ensuing folds. Amazing how dough can be transformed, isn't it? I divided the finished dough into three pieces, wrapped them well and popped them into the freezer until I was ready to give the quick spelt puff a try. My first practice session with this dough involved chausson aux pommes and a simple blind baked tartlet shell, just to see how it would behave. As you can see there's pretty good puffing going on here. The tartlet shell was really puffed up in the center, even though I pricked it all over with a fork and weighted it for most of the baking time. Once I removed the weights and finished the bake, it kept on a'puffing! What you see above is after I had pushed down the center layers to make room for a filling. Although the chausson puffed up very nicely, I do have to admit that chausson made with reverse puff bake up oh so loverly, as the Brits would say. Witness that very thing in the photo below. I truly enjoyed the flavor of the quick spelt puff - a bit more nutty and wheat-y than puff made with traditional all purpose flour. It's all about experimenting, eh? The bottom line? Making mistakes is a great way to learn, and weighing ingredients is very helpful when having to correct those mistakes. Yes indeedy. 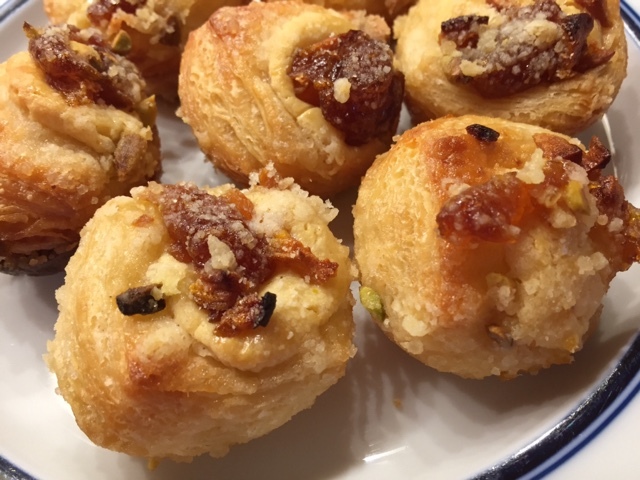 Quick puff is fun to make and has a very useful place in the pastry kitchen, particularly for things like tarts (both sweet and savory), quiches, turnovers and even cheese straws and palmiers. Go for it! Here's the basic quick puff recipe (the FULL one!). 3. Add the water and mix briefly to incorporate. The dough will be crumbly. 4. Turn the dough out onto a lightly floured work surface and form into a rectangle about an inch thick. 5. Use that wonderful bench scraper of yours to assist in performing a three-fold. Turn the dough 90 degrees and press it again into a one inch thick rectangle. Do another three fold, then repeat the steps one more time, giving you a dough with 3 three folds. As you go, it should start holding together more and more. 6. Wrap the dough in plastic wrap and chill for an hour. 7. Now with the help of your favorite rolling pin, roll the dough into a rectangle about 1/2" thick, do a three-fold, turn 90 degrees and repeat another one. Turn 90 degrees again and do the last three-fold. You'll now have a finished dough with a total of 6 three-folds. 8. Wrap in plastic wrap and chill an hour before using. You may also wrap and freeze it for later use. Now get into that kitchen of yours and play! This little project came about as a way of creating a dessert for another recent family dinner at cousin Jen's house. Steve, as usual, requested something with chocolate, and since I wanted to keep it on the lighter side, I decided on a nutty meringue base as the launch for what was to come. Cue in chocolate ganache, chocolate crunchy crumbs and fresh berries. Not a bad way to go. I used my rectangular tart form to outline the shape in which I wanted to pipe my meringue. The pics below give you a nifty technique with which to create the area you'd like to fill. Place your desired form/shape on your lined sheet pan (I'm using silpat here since it's my fave for baking meringues), dust around the edges with powdered sugar . . .
then simply lift off the form and your outline is staring you right in the face. How cool is that?! Now pipe away!! The powdered sugar won't hurt a thing since the meringue receives a dusting anyway before going in the oven. The meringue bakes at 350ºF for about 20 minutes until nicely browned. The beauty of meringue is its make-ahead-ability. Do it several days ahead and freeze it or, if doing it the day before, just lightly wrap it at room temperature until you're ready for the next step. Time to assemble. For this one I poured a thin layer of a standard 1:1 ganache made with 61% Guittard chocolate over the base, inside the raised edge. I let it set a bit. Then a light layer of chocolate shortbread crunchy crumbs . . .
and to finish off a whipped chocolate ganache made with the same Guittard chocolate in a 3:1 cream to chocolate ratio, more crunchies and some lovely fresh berries. And just to show you another version, here's a small round base I made with the same hazelnut meringue. This one got a sprinkle of chopped hazelnuts too. Create your own and top it with whatever your little heart desires! Here's the recipe for the hazelnut meringue. It makes just the right amount to create both the 11"x4" rectangle and the 6"-ish/16 cm round forms you see here. Play around with your own shapes and sizes. Whisk the hazelnut flour and powdered sugar together in a medium bowl. Place the egg whites in the bowl of a stand mixer fitted with the whisk attachment. Whisk on low for several minutes until a nice foam starts developing, then shower in the granulated sugar on medium-low speed until it's all added. Up the speed to high and whisk to medium stiff peaks. Fold in half of the hazelnut mixture, then add the second half and fold until nicely combined. Pipe or spread your meringue in the shape of your choice. Bake about 20 minutes until nicely browned. Pay attention to what's going on in that oven!! Once your base is cool proceed with your choice of filling. The sky's the limit. And remember you can sub in pretty much any nut flour for the hazelnut in the meringue recipe. Even do half-and-half of two different nuts. Yes! Here are just a few filling ideas: a simple lightly sweetened Chantilly cream topped with fresh berries; a tangy citrus curd lightened with whipped cream and topped with tropical fruits and maybe even a little toasted coconut; any whipped ganache using white, milk or dark chocolate topped with your own version of shortbread crumbs - how about chai or ginger - and your favorite nut, seed or sesame brittle; a standard pastry cream topped with lightly poached pear slices, some candied nuts and a drizzle of caramel. As 2017 comes to a close, it's always fun to look back over the year and remember some of the goodies that came out of The French Tarte's kitchen. As we contemplate the new year ahead, here are a few images for you, some from posts actually written and some from just playing around in the kitchen, trying a new thing or two. And last but not least, my latest in shortbread trials. Chock full of cran-chewy, almond-chunky, oat goodness with a lovely complement of subtle smooth white chocolate. I think I like these! Here's to a year of health, contentment, good times with family and friends and, of course many new adventures in baking. Cheers! These little babies came about as a result of a number of on-hand ingredients that helped bring the project together: a few packages of dried cranberries in the cupboard that were originally intended for another use; leftover dark and white chocolate ganaches from a couple of different projects; buckwheat flour on hand and a can of pumpkin purée on the shelf. I know, I know. My Thanksgiving post was a pumpkin related theme but what the heck - let's do something just a little different. I recently gave a presentation for OLLI (Osher Lifelong Learning Institute) at Aquinas College here in Grand Rapids on flours, grains and seeds. This only served to fuel my desire to bake more with healthier-for-you whole grains and flours, be they wheat/gluten based or gluten free. In this case buckwheat flour is the star (yes - it's gluten free) and gives these moist-with-hints-of-spice gems an earthy, not too sweet quality. As I've mentioned in the past, I adore silicone flexi-molds for baking cakes. This time I used my individual 15-well canelé (sometimes spelled cannelé) mold - LOVE that shape. And it worked out quite nicely when it came time to do the ganache garnishing. The recipe is my version of Alice Medrich's "dark and spicy pumpkin loaf" from her book Flavor Flours, of which I've become a huge fan. As the name implies, the base recipe is baked in a standard loaf pan, but, being a fan of les petits gâteaux, given the choice, I go small. The recipe is straight forward and the batter very easy to put together. Heat the oven to 350ºF. The flexi-molds need no preparation - COOL! Although if you decided to bake a loaf you should line the bottom and sides of an 8 1/2" x 4 1/2" loaf pan with parchment paper. Combine 113 g (1 stick) unsalted melted butter, 190 g (scant 1 cup) sugar and 2 large eggs in the bowl of a stand mixer fitted with the paddle attachment. Beat on medium about 2 minutes until lighter in color. Add 120 g (3/4 cup) white rice flour, 40 g (1/3 cup) buckwheat flour, 1/2 teaspoon baking soda, 1 teaspoon baking powder, 1 teaspoon cinnamon, 1/2 teaspoon ground nutmeg, 1/4 teaspoon salt, 170g (3/4 cup) pumpkin purée and 70 g (1/2 cup) dried cranberries (or raisins or currants or what-have-you) and blend on low speed until smooth. I had considered also adding some chopped toasted pecans but I forgot!! Scoop or pipe the batter into the flexi-molds, filling about 2/3 full. Bake about 20 minutes (or 45-50 minutes if baking a loaf) until a tester inserted in the center comes out clean. Remember to pay attention to what's happening in your oven! Do I say that often? Mais, oui! Cool in the flexi-molds on a rack for a good 30 minutes (or two hours for a loaf) then gently un-mold. Enjoy soon or, once cooled, freeze well wrapped and enjoy later. They'll also keep in the fridge well wrapped for about 5 days. I opted to coat my cooled cakes with dark chocolate ganache. Once that had cooled a bit I filled the center with white chocolate ganache. Not bad, eh? Another option is to blend 4 oz cream cheese (or mascarpone) with 1/4 cup Greek yogurt and 1 tablespoon honey and spread a schmear on your mini-cake or your slice if you've gone the loaf route. You decide. I find these cakes very pleasing - a moist and tender crumb, hints of spice, nuggets of cranberry, rustic buckwheat, a sense of pumpkin without being overwhelming (although Steve, the pumpkin disliker, might argue that point) and a flavorful marriage of chocolates. I like 'em.